What impact will impact investing have on your building? Impact investing requires a positive social and ecological return alongside a financial return, its a growing trend with a potential market size of $500 billion, its coming and will impact the property market. The question for property owners and developers is – what impact will Impact Investing have on your assets? And how will you respond? My article on Tuesday explored the background of impact investing, the trends and the potential size of the market. This time I will explore the two questions – what impact will Impact Investing have on your assets? and how will you respond? What impact will Impact Investing have on your assets? First lets think about the intention of impact investing. The intention of impact investments is to generate a measurable, beneficial social and ecological impact alongside a financial return. So there is still the intention to have financial return, this isn’t philanthropy. But maybe there is an acceptance that in return for beneficial social and ecological impact there will be a slightly lower financial return. Putting some numbers on it – maybe a 7% yield rather than an 8% yield is acceptable if it can be demonstrated that the 1% is being used for measureable positive social and ecological impact. Those numbers will be tested over time as the $500 billion market grows, maybe 8% is still an expected level of financial return, maybe cake and eat it is the new reality. It’s certainly what the millennials survey from deloitte was saying. One of the key elements that keeps coming up in impact investments discussions is that the benefit needs to be measureable – whatever the social or ecological benefit you are creating is, you need to be able to predict it, forecast it, measure it, report on it and replicate it. A nice feel good story isn’t enough for impact investors, it might be ok for philanthropy, but if I am investing my superannuation in an impact investment with a lower financial return I want to make sure that my investment is creating social and ecological benefit. So what impact will impact investing have on your buildings and your company? 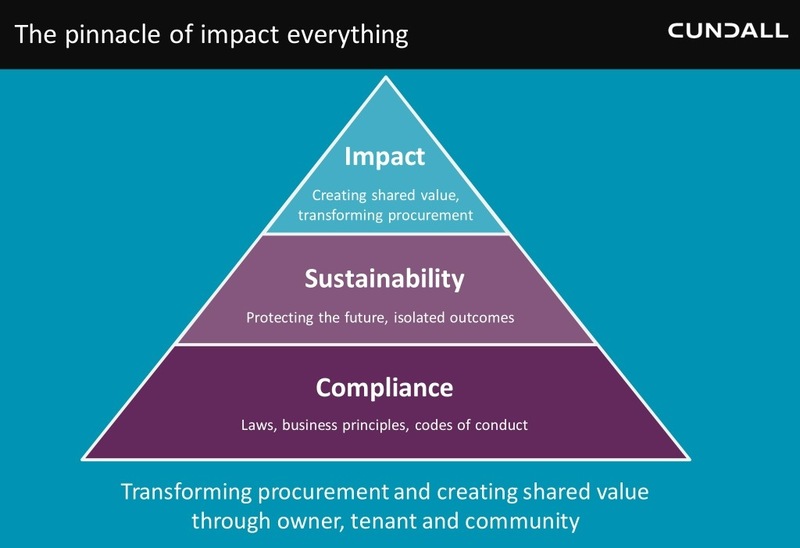 Well, first up if impact investments are assessed for the positive and social impact and people invest in buildings or property trusts then you can guarantee that in the future buildings will be assessed for the positive social and ecological benefit. And there will be an expectation that this positive impact doesn’t just stay constant, it will need to improve over time. Secondly, in the same way that there is now an expectation that we accurately measure and report energy or carbon efficiency of our buildings there will be an expectation that we accurately measure and report on social and ecological impact. Investors will be looking at your assets not just in terms of financial return they will want you to report annually on your positive social and ecological return. What can you do to prepare your company and your buildings? The first obvious one is gear yourself up to understanding the common measurement and metrics of social and ecological impact. Get a real good consultant like Cundall to give you a presentation on social return on investment (SROI), Lifecycle analysis and ecological footprint. Once you’ve done that it’s probably time to benchmark how you currently perform. Chose one of your buildings as a starter. Calculate your current social and ecological value and then explore with a good consultant like Cundall how you could improve the social and ecological value of the building. Once you know where you stand. Create a strategy of improvement. Take the bold step of reporting your current Impact performance and your Impact Strategy in your next annual report. But whatever you do don’t use SROI to analyse the things that you are doing that are better than market practice, use it to accelerate your impact, work out what you could do to have maximum impact and then work out how to do it with a financial return. Impact investors don’t want to know that you have done slightly better than the industry average, they want to know how you are maximising impact. ← Does your building have Impact?